What to write about Catching Fire? It’s really good. If you’re a fan of the books, you’ll love it. If you haven’t read the books, you might be a little confused. In the sequel to The Hunger Games, Katniss (Jennifer Lawrence) and Peeta (Josh Hutcherson) undertake their victory tour of the Districts. All is even more unwell. Revolution against the Capitol is simmering across the districts. Katniss and Peeta’s outwitting of the games master and the Capitol have inspired those living lives of quiet desperation. Yet the Capitol tightens its grip, increasing executions and floggings. To further stem the tide, President Snow (Donald Sutherland) and Plutarch Heavensbee (Philip Seymour Hoffman) plan a Quarterquell Games that will draw from past male and female winners from each district. As the only female, Katniss is selected. When Haymitch (Woody Harrelson) is picked, Peeta steps in for him. 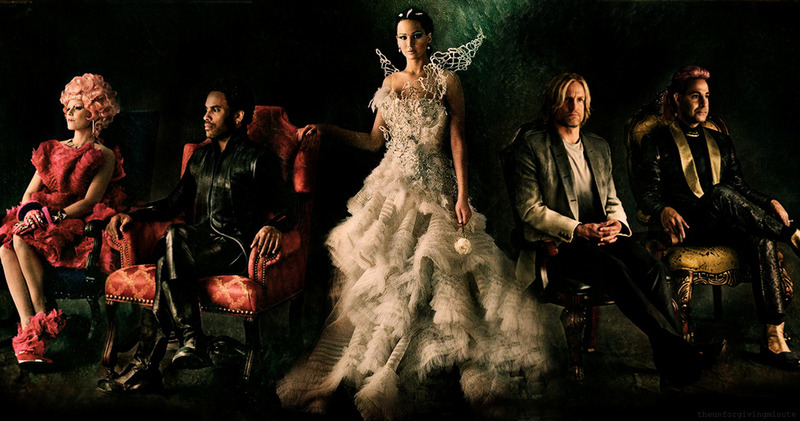 In the games, Peeta and Katniss form alliances with Mags (Lynn Cohen), Finnick (Sam Claflin), Beetee (Jeffrey Wright), Wiress (Amanda Plummer), and Johanna (Jena Malone). Unbeknownst to her, her newfound friends are part of a larger plan that separates her from Peeta, but opens doors to a future that she never wanted nor could have imagined. With a 2.5 hours run time, Catching Fire feels more like 1.5 hours thanks to brilliant pacing and direction by Francis Lawrence. Everything moves quickly towards the final battle, which is still nerve-wracking, even if you know what’s coming. Lawrence, Hutchinson, Harrelson, and Sutherland are great again. Unfortunately Hoffman is a bit bland, but there will be more of his character in the next film I’m sure. It’s always great to see Wright get work in more mainstream films, and he’s a clever little devil here. The trilogy, of course, is something of a cultural phenomenon, which the films have propelled even further into our consciousness. The oppressiveness of the Capitol is on full display here, as is the daringness of those who would stand against it. However, talking with people who have seen the film but not read the books, the were frustrated by the limited attention that the growing revolution received. I know the filmmakers might be saving much of this for the third and fourth films (yes, they’re breaking Mockingjay up into two parts), but it would have strengthened Catching Fire to juxtapose the brutality of the Quarterquell Games with images of growing frustration throughout the Districts and within the Capitol. As with the book, I’m struck by Katniss’ choice of allies. She values intellect over strength, which saves them in the end. However, during the games, it makes them vulnerable to their physically stronger opponents. I’m again mindful of the importance of vulnerability (see yesterday’s review of Dalls Buyers Club) and the way it can transform us for good and prove more powerful than what, on the surface, seems strong. Perhaps more than the first film, Catching Fire begins to echo beatific messages. If you want to dig deeper into these spiritual/religious implications, check out Julie Clawson’s The Hunger Games and the Gospel. Catching Fire (146 mins.) is in wide release and is rated PG-13 for intense sequences of violence and action, some frightening images, thematic elements, a suggestive situation and language.